Sampling, Analysis, Classification, Packing, Redrumming, Documentation and Certified Disposal of Hazardous Waste & Chemicals. 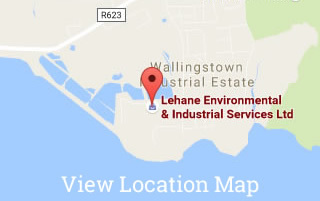 Whether you have a single drum or container loads of Hazardous Waste or Chemicals for disposal, Lehane Environmental’s Hazardous Waste Disposal Team will provide you with a cost effective, efficient and legally compliant route for the disposal of Hazardous Waste & Chemicals. Bulk Volumes of Hazardous Waste can be exported directly from your site under TFS (Transfrontier Shipment of Waste) Documentation. Small collections of Hazardous Waste & Chemicals are collected using our own fleet and stored in an EPA Licensed Hazardous Waste Transfer Station pending bulk export to overseas facilities. All documentation is supplied by our team, including TFS, Bonds,Waste Transfer Forms, TREM Cards, DG Notes etc, leaving you to concentrate on your core business. Concerned about whether your packaging is suitable and up to the required standard? No need to be! Our DGSAs (Dangerous Goods Safety Advisers), who are certified by the Health & Safety Authority of Ireland, can inspect the suitability of your packaging to confirm it meets the legal requirements under the ADR (Road Transport) and IMDG (Sea Transport) Regulations. Our Chemical Teams can provide a full waste packing service to include redrumming, palletising etc. Any individual or business that arranges the collection, recycling, recovery or disposal of waste on behalf of another party must register as a waste broker with the National TFS Office. A broker shares responsibility with the waste holders for the proper management of waste before and after its transfer and they are legally responsible for its proper handling and disposal. Any person who arranges for the shipment of waste the subject of the TFS Regulation and the Brokers and Dealers Regulation, has a responsibility to only use a broker or dealer who is registered with the competent authority. Any person who contravenes these provisions shall be guilty of an offence. 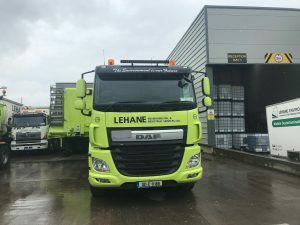 Lehane Environmental are registered Brokers & Dealers as per The Waste Management (Registration of Brokers and Dealers) Regulations 2008 (S.I. No. 113 of 2008).